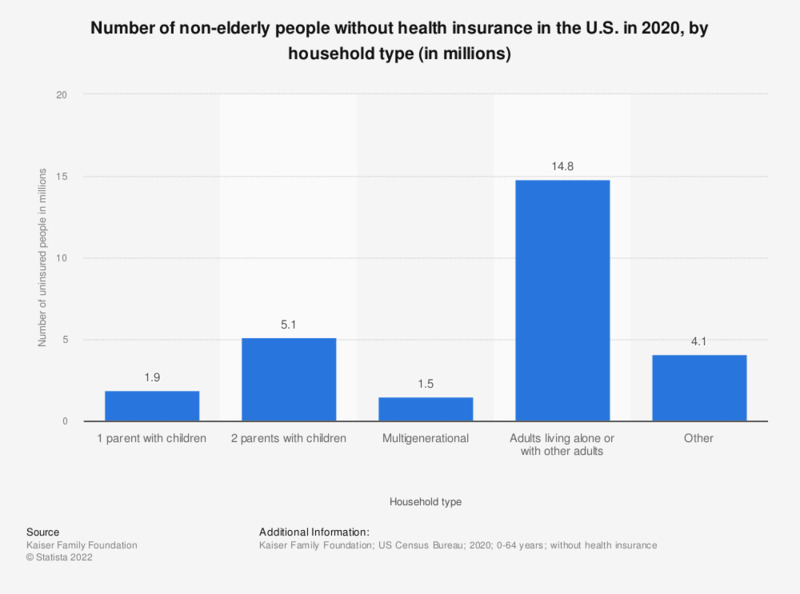 This statistic shows the number of non-elderly people without health insurance in the U.S. in 2017, sorted by household type. Around 13.2 million uninsured were single adults living alone or with other adults. * Parent includes any person with a dependent child.